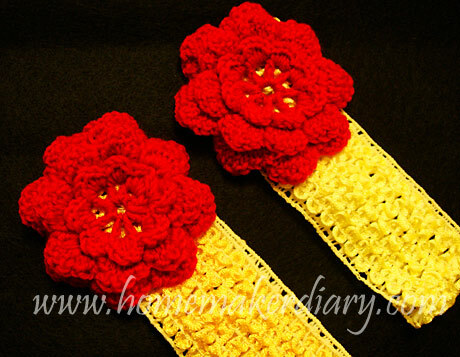 I have progressed from making felt hair clip with crochet flower towards headband with crochet flower. And these are two headbands ordered by a friend for her daughters. Can’t wait to see how they look wearing those headbands. Putting the flower on the headband is much more easier compared to making the felt cover, less sewing and it is much faster to be completed. 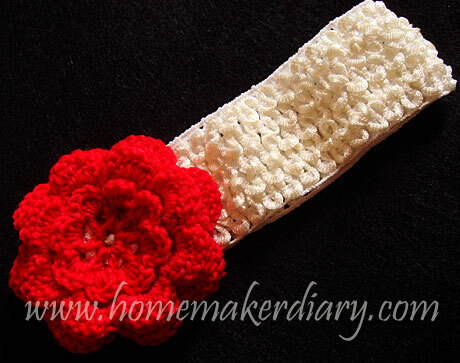 The headband in white with big red crochet flower will be posted hopefully this Saturday. Still searching for ways to make it more presentable to the customer, whether to put it in handmade envelope, or plastic packaging, am thinking of doing a display card to put the headband on like what I’ve seen on Etsy. Perhaps it’s time that I buy the printer..heh!